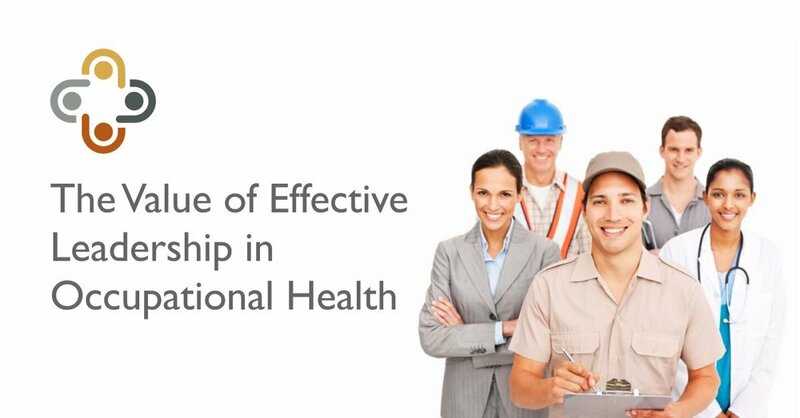 The lasting value of effective leadership in occupational health. We are often asked by clients to justify the cost of our services in terms of return on investment or a tangible growth from the bottom line. Some aspects of occupational health allow for this, with analysis before and after the occupational health intervention. But many aspects don’t, because you are dealing with people, and business and no two are ever the same. There is no one set magic formula that will deliver on the task in hand. Each case has its own value of what success looks like, and our role in occupational health is to help identify and deliver on that. But value, to us as a profession, runs far deeper than that. We wrote last week about the ways in which a business, such as occupational health, that has no set ‘product’, needs to consider that its value (to clients, individuals, to itself and the wider society) comes from its people. This is why recruitment and training in addition to the right leadership and management are SO important in our sector. We need a motivated workforce, with the right level of knowledge and skills, as well as the right set of values. The Oxford Dictionary defines values as, “ Principles or standards of behaviour; one's judgement of what is important in life”. The organisation needs a culture that centres around and hopefully shares the same ‘values’ as its employees. What is it that is important in life? 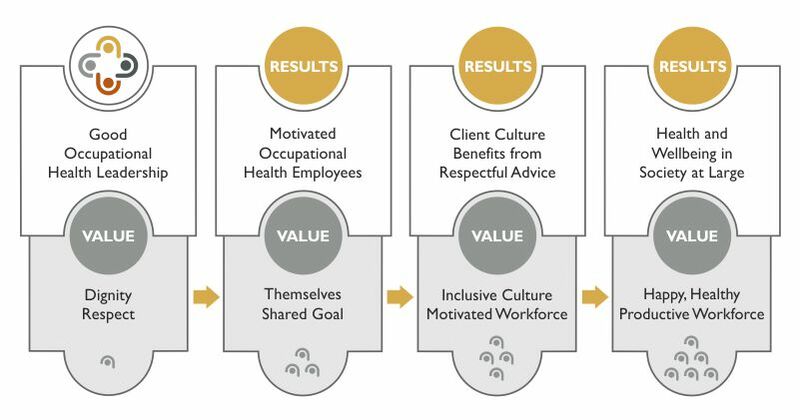 For us in Cordell Health, and hopefully many in the wider occupational health workforce, it doesn’t always have to come from financial reward, but from BEING valued, the sense of which comes through being treated with dignity and respect. It is this self-perceived value that will drive and sustain motivation and results and success. Managers promote the values of dignity and respect through good leadership. A motivated team is built, with a shared value (working towards the common goal) and an understanding of their own value within the business. The value is passed on to clients and leveraged in the respectful treatment of employees and the skills and advice given on individual cases, such as those with health conditions or disabilities. ALL employees feel valued. All employees are motivated. Society at large benefits from a culture where people are valued and consequentially there is a happier and healthier workforce. People are more productive, business is better, the cost of ill health is down and profits are up. Through engagement with HR, managers and the senior leadership, we can add value to their organisations, and society in general, by encouraging cultures where all feel valued. The overall effect is positive for the bottom line and has a lasting effect running far deeper than the office walls. Newer PostWhy you need to manage your employee’s stress. Older PostA Manager’s guide to supporting those with hearing loss in the workplace.